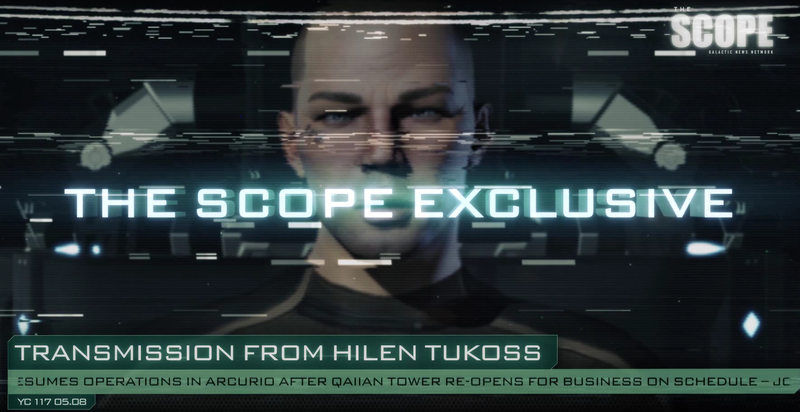 In the most recent Scope video, CCP presented a revelation that goes beyond the fleets of Drifter battleships seemingly gathering for war: Dr. Hilen Tukoss is alive – or at least he was at the time of the transmission in the video. 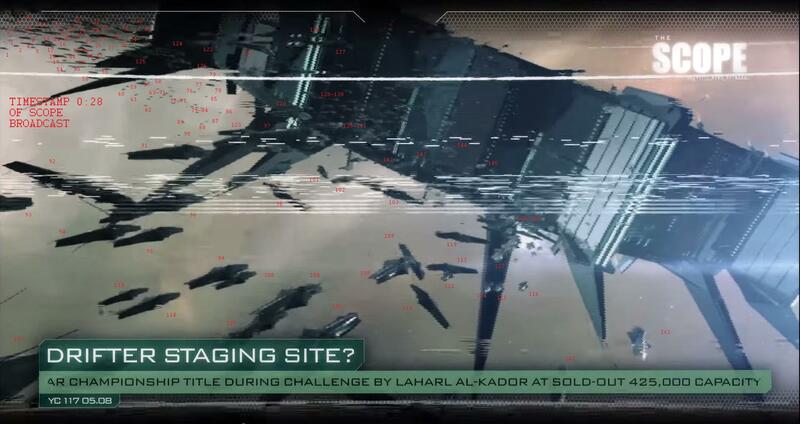 Not only that, Tukoss and his crew have somehow managed to reach the elusive locale where the gigantic structure lies that we have previously seen in the Emergent Threats trailer. Before I proceed to analyse the significance of the transmission and the images we can see, I will quickly explain why the appearance of Hilen Tukoss is such a significant event. Hilen Tukoss was the head research and development scientist for the Ishukone subsidiary Zainou Biotech until YC113 (2011), when he took most of his operation and defected to Zainou’s direct Minmatar competitor Eifyr&Co. According to a Scope interview he was dissatisfied with the corporate policies of Zainou and his new patron company appeared much more accommodating as they allowed him to set up his own project: Arek’Jaalan. That name loosely translates from Caldari as “to become a dissident” or even “to take revenge” reflecting Tukoss’ actions and attitude toward his former employers. With sponsorship from Eifyr&Co and the cooperation of many capsuleer scientists, a space-borne facility was set up in the Eram system. During the months following the station’s construction, an unprecedented cooperation between capsuleers lead to a body of research conducted to find out more about Anoikis (Wormhole Space) and its enigmatic inhabitants, the Sleepers and the Talocan. This continued until Hilen Tukoss vanished one day. Potentially he left on an expedition to investigate the events leading to the disappearance of Anoikis explorer Lianda Burreau whose abandoned ship was found adrift. He had expressed great interest in that finding. Whatever really happened, Dr. Tukoss never returned from wherever he went. For years not a word was heard from him and his fate remained a mystery. Until this day. The Scope leak was not the first transmission by Hilen Tukoss in recent times. At the end of YC116 (2014) Eifyr&Co and Arek’Jaalan capsuleers received a series of partially encoded transmissions which appeared to come from Dr. Tukoss. In those transmissions someone claiming to be Tukoss made the macabre request to have several Jovian body parts delivered to the Arek’Jaalan facility for unspecified research purposes. Shortly after that, another message was received that warned about the Arek’Jaalan project being compromised and Hilen Tukoss having fallen in the hands of unidentified captors somewhere in what he assumed to be Anoikis. Several members and associates of Arek’Jaalan have expressed their doubts whether any or all of the messages are genuinely coming from Dr. Tukoss and there was a lot of discussion about the potential implications of an impostor posing as the scientist. If we were to assume that the transmissions actually came from the Arek’Jaalan founder, the most recent recording begs the question whether Tukoss and his crew have been captured after the message we can see in the Scope video or whether they managed to escape earlier detention only to find themselves in the middle of a Drifter military buildup. There are strong indications that the sceptics were right and that the first and second messages we received earlier never came from Tukoss himself, but someone who used his name to enlist the help of Arek’Jaalan researchers in an effort to gain biological samples from a Jove body for purposes which have become increasingly and disturbingly obvious during the last months. The encoded parts of the earlier messages also suggest the use of a translation system to formulate the verbal content. In the light of that knowledge, the assumption becomes viable that the leaked video footage was the first transmission, chronologically, and has only been revealed now after being in possession of Eifyr&Co for some time. The garbled transmission and footage which has been leaked to The Scope shows an immense space-borne ring-structure from which a combined fleet of Drifter battleships and Circadian Seeker drones are launching into space. We see the confirmation of assumptions previous investigations of the Unidentified Wormholes have lead to. The interstellar nebula of this region is very similar in appearance to the scenery in Thera and the small Shattered Wormhole systems which have recently been discovered. Tukoss and his crew are piloting a Buzzard exploration frigate and are flying cloaked through the Drifter formations for some time while he implores the recipients of the message to notify the DED that a possible invasion or at least major attack could be underway. Eventually his ship becomes decloaked – possibly through proximity to the Drifters or the structure – and his transmission cuts off soon after shield, armor and hull breach alarms are heard. The size and strength of this Drifter battleship taskforce, and its clear cooperation with Circadian Seekers seen throughout the greater New Eden Cluster, clearly indicates an offensive motivation. The weaponry of the Drifter battleship itself has been shown to be sophisticated and deadly in nature, and is vastly superior to the ship’s defensive technology. Given this fact, the purpose of this fleet is obvious. It is designed to strike a decisive blow against a target in the near future; who or what that target is, will be left to the speculation of the reader. The Scope have confirmed that the video was leaked to them by an employee of Eifyr&Co without authorisation, and that it does indeed show Hilen Tukoss. The identity of the whistleblower remains undisclosed, but they have been extradited by the Minmatar Republic and detained by CONCORD’s DED under the Interstellar Corporate Espionage Act. Furthermore, the DED have also detained Scope production manager Gaunia Octeyncaere and Lina Ambre, the reporter who published the video. Naturally this constitutes a serious infringement against freedom of press. Most of the above is written from the perspective of in-game knowledge. Out of game we know quite a bit more about things that are going on behind the scenes. Hilen Tukoss was the creation of CCP Dropbear who acted as the character in his capacity as lore author and live-events GM. 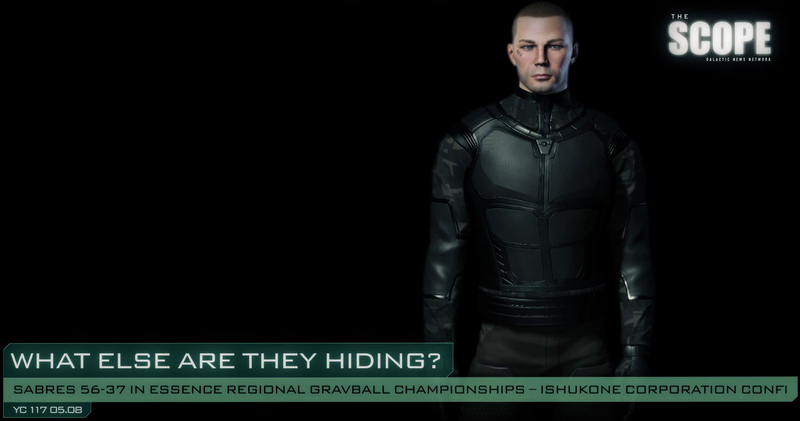 When company policy at CCP veered away from live events and lore, Tukoss conveniently vanished from the scenery. With the recent re-focusing on backstory, CCP have decided to revive this colourful character and use him as a vehicle for cryptic revelations. This particular one comes on the heels of the discovery that the Unidentified Wormholes lead to previously unknown PVE sites on the SiSi test server. Our own Neville Smit has written extensively about that. Shortly after the first players found the immense structure on SiSi, CCP spawned a large number of Drifter ships around it. Julianus Soter of Villore Accords has taken some time to count the numbers shown in the video. Since this content is now active on SiSi, chances are high that we will see it go live in one of the forthcoming patches or expansions. CCP have also posted a message on EVE Now which is dated 11-12-YC116. That coincides with the earlier transmissions received from Tukoss at the end of last year. Since the Tukoss transmission likely dates from a time before Drifters first appeared, the large fleet we can see there does not necessarily indicate a preparation for a new war but the spread of Drifter ships and Circadian Seekers throughout New Eden. Since this is test server material, we can not be exactly sure how it will look once it goes live. CCP might just have spawned all those Drifter ships at the site to prevent more spoilers, or there might be a second wave of Drifters ready to deploy, and that would really mean an increased threat level. P.S. I would like to thank Makoto Priano, Neville Smit, Rhavas, Julianus Soter, Morwen Lagann, Aurora Arcology News, Frenjo Borkstar, Jaret Victorian and all others who have made this article possible.